California’s Department of Insurance has opened an investigation of insurance giant Aetna after a doctor, who was once employed by the company, admitted under oath that he never looked at the records of patients prior to deciding to approve or to deny medical care, as a medical director. This investigation was opened following the admission of Dr. Jay Ken Iinuma the former medical director in Southern California that he relied only on information given by nurses when he decided to give approval or deny a specific case, instead of reviewing the medical records provided to him. Dave Jones the Insurance Commissioner of California said his office was looking at how common a practice of defaulting to recommendations and reviews from nurses was in Aetna, which is the third largest U.S. insurance supplier. However, he said that if a provider of insurance makes a decision to provide or deny coverage without an actual physician reviewing any medical records it is of great concern and potentially violates the law. On Sunday night, through a prepared statement, Aetna said the state commissioner had not yet contacted them but looked forward to giving its explanation of the process of clinical reviews. The statement added that medical directors at Aetna are trained to complete a review of all medical information available, which included medical records, to make a decision that is well informed. The doctor’s testimony came during a lawsuit filed by Gillen Washington, a college student, against Aetna. Washington says that he was denied insurance coverage for a procedure he said would help the rare immune disorder he has. The case is scheduled to this week to go to trial. 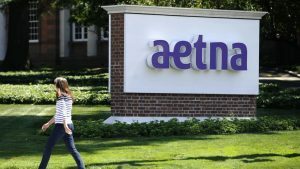 Aetna rejected Washington’s allegations saying the insured did not comply with the requests they made to have blood work completed. Washington, who has had common variable immunodeficiency (CVID) since high school, became an Aetna patient during January of 2014, after having been insured through Kaiser. Initially, Aetna paid treatments for Washington after his infusions, which cost as much as $20,000. However, when the clinic where Washington went asked the insurer for pre-authorization for an infusion in November of 2014 Aetna requested a review of Washington’s medical record and saw that the most recent blood work was three years prior for Kaiser. They requested new tests and said Washington waited months and not until he was hospitalized did he have blood work done.